The Sheep Whisperer: No Lion Here-Take 2! Lions are incredible pictures of sheer power & strength.These ferocious predators can roar & be heard up to 5 miles away! The main reason they roar is to warn any intruders to stay away, & also to round up any remnants of the pride. Males are very distinguished in the feline world by being the only cats having manes. African male lions have longer, darker manes than the Asian male lions in India. I love roaring ! It lets everyone know that this is my turf! 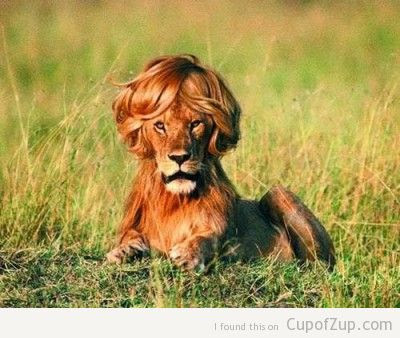 I just had my hair done for this picture! How do Ewe like it? Lionesses are the primary hunters of the pride. They prefer hunting at night in groups, which enables them to take down larger & faster prey. 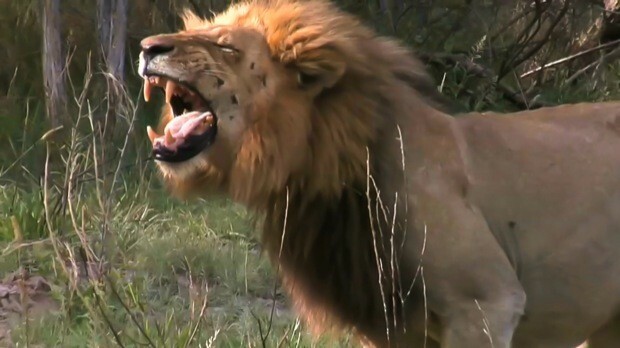 Lions Have a pecking order in the pride after a kill. The top male leader gets to eat first, even though the females secured the meal. When "Top Gun" is finished, there's squabbling that follows over who eats next. However, one thing is for sure, the cubs eat last! Read my Lips! I will hunt Ewe down & Ewe will be eaten by the pride! 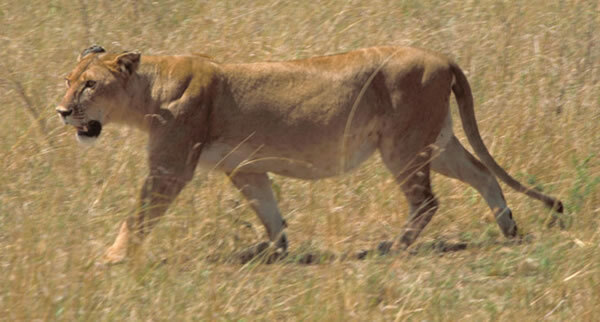 Lionesses usually remain in the pride for life , while males stay 2-4 yrs. before launching out on their own, in search of their own pride. Lionesses do the hunting & child care , while males work on the security for the pride. 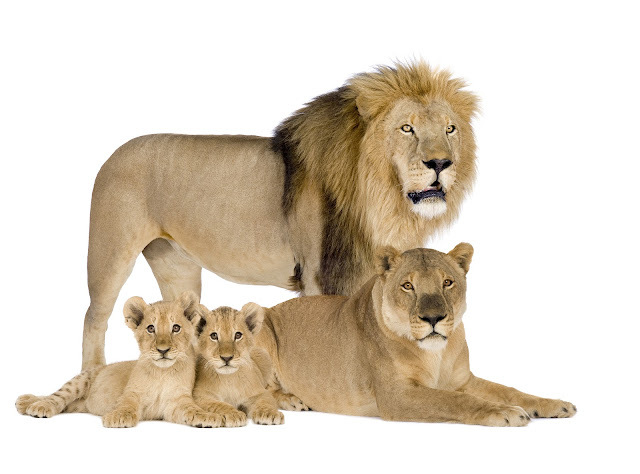 Many females in a pride are related & give birth around the same time. They even nurse each other's cubs ! We aren't very good at hunting , but at least we get one kill out of several attempts! 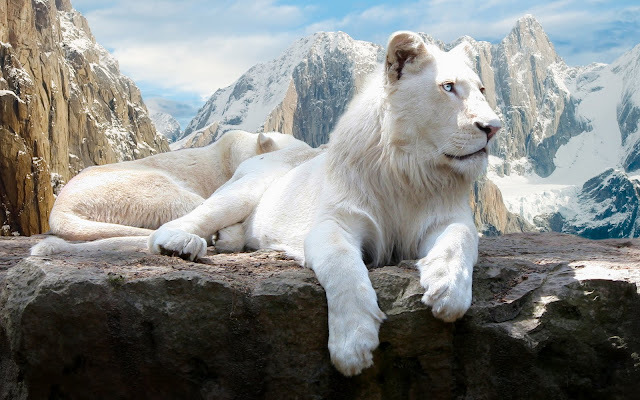 White lions are genetically comparable to Black Panthers! Males are the second largest cat of the "big cats", only trailing the Siberian Tiger! They mark their 100 sq. mi. pride area by spraying shrubs, trees, & bushes with a mixture of glandular secretions & urine. Males & females ruthlessly defend the pride from any outside intruders. Ewe might say , A family that "preys" together, "stays" together! Lions live up to 30 yrs. in captivity! We Take "Pride" in our Family! 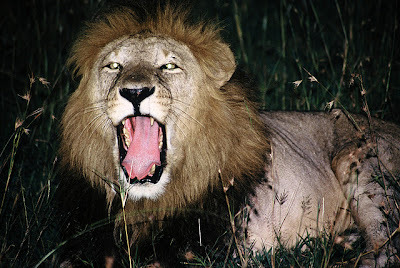 Lions only hunt in the cool of the night, stalking their prey in small groups for short periods of time. 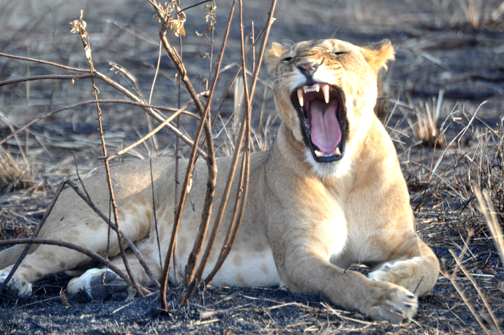 As a matter of fact, most lions are inactive up to 20 hours a day! Lions mostly dwell in grasslands & plains, which camouflage their tawny colored hides.Contrary to popular belief, Lions are not jungle dwellers! Sheep have a pecking order in the sheep pen,similar to that of a lion's pride.Sheep clearly acknowledge the dominant Ewe as the leader. Sheep also recognize that the Shepherd brings peace to their lives & restores order to the sheepfold. 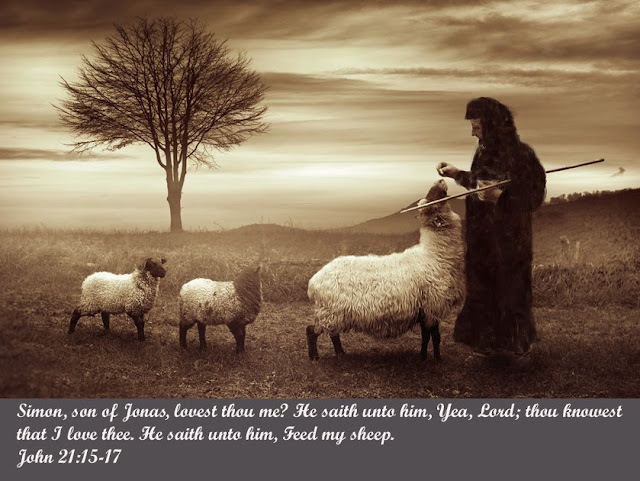 Sheep have the most order & security when the Shepherd is present! today & watch His peace restore & maintain Ewe-r calm. Hey friend it was good seeing you today for those few minutes. We need to find time to catch up. Don't think I'm not still checking out your blog. I just don't have time to post as much lately. If I don't see you, Merry Christmas! Good seeing Ewe too! I hope the Blog encourages Ewe & Lightens Ewe-r day ! God Bless Ewe & Merry Christmas to Ewe & Ewe-rs!